If you’re having difficulty accessing your Student Portal, open the file below for instructions on how to log in. If you are not a currently enrolled student, read below to find out more information about Naviance and our Pathways program. Life takes us down many different paths. At Sweetwater, our Pathways program ensures that you have a clear goal in mind for your post-graduation plans. Our Naviance Family Connection web-based program uses a combination of interest and personality type surveys that identify your strengths and help you explore career options that may work best for you. Our unique program allows you to research your options, including four year universities, community colleges, work place readiness, and military prospects. Our experienced counselors and teachers will guide you each step of the way. Pathways puts meaning into your school work by providing you a clear, personalized vision for the future. It’s your life—which path will you choose? 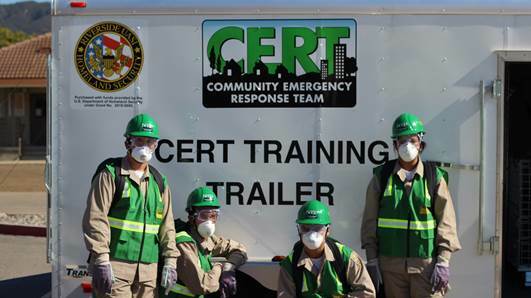 Altus Cadets (part of the California Cadet Corps program) learn about emergency response training, preparing them for a path with the military, emergency services, medical services, and more. To prepare for the university path, our program provides rigorous academic coursework. Our college counselors meet with students beginning in the ninth grade year to provide a coursework outline for high school. College bound students who transfer into the program later in their high school career will have their courses translated onto a four year credit audit formulated to meet all college course requirements. Our Pathways/Naviance Family Connections program allows students to research university options and explore school programs online. Pathways provides the organizational tools to keep you on track for the university path.